Take action by contacting your political representative and encourage them to join the International Parliamentarians for West Papua (IPWP) if they haven’t already. The ultimate aim of the Free West Papua Campaign is to give the people of West Papua the right to choose their own destiny – a right they were promised, but denied, in 1969. To do this we are building political support all over the world and in 2008 launched the International Parliamentarians for West Papua – a growing group of politicians committed to supporting the right of West Papuans for self-determination. We need as many MPs and other representatives as possible to get involved in this crucial issue. So we are asking our supporters to write to their representatives to support the cause. Send a Template Letter to your representative here or if you prefer you can write one yourself. Raise the issue of West Papua with the government, and ask them to support a new referendum on freedom for the Papuan people. Ask the government to pressurise Indonesia to stop human rights abuses in West Papua, and to release political prisoners. Ask the government to stop arms sales to Indonesia, on the grounds that weapons are being used to terrorise Papuan civilians. 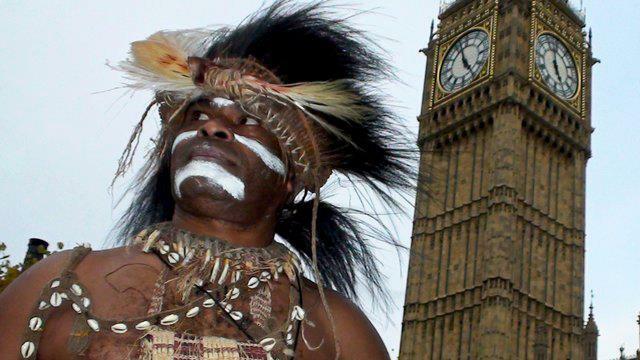 Join the All-Party Parliamentary Group on West Papua, which has been formed by Andrew Smith MP. Join the International Parliamentarians for West Papua, which is an international group of politicians who support the right of self-determination for West Papuans.